How Much Does It Cost To Restring a Piano? One of the most challenging repairs one can do on a music instrument like piano is restringing. The cost? Complete piano restringing definitely takes up more or less, thousands of dollars. Really bank breaking isn’t it? Of course, you can’t be a great musician and a great technician at the same time. So, whether you do love your old piano to stay or you have planned to purchase a new one, it is still better to consult professionals for help. Even how good your piano today is, a few years from now you would still begin renovating your instrument. The most major repair you can do by far is to undergo restringing. This is where you need to get all old strings off and replace a new one. You even need to change all the piano’s inner workings such as pin block and the soundboard for complete piano restoration. When the turning pins are loosening, it is commonly the first sign that restringing should be performed. Even though tone may collapse seriously before loose pins happen in some cases. When the elasticity of strings starts to lose, the best tone quality of strings begins to deteriorate. The deterioration can be so gradual. This is the reason why the tone can still be good for several years. However, when the piano has restrung, you can really see the differences between the old and new strings. In normal conditions, pins stay tight for about twenty years or longer, this is why restringing rarely happens in a certain piano yet offers you a costly cost. In this case, you can delay restringing by driving the pins slowly further into the pin block. On the other hand, when the pins start to lose do not hesitate to restring the instrument. When restringing, you can opt to use the old pin block or purchase a new one and install it. Replacing the pin block is better being done when a chemical pin tightener has been used already or there is a doubt regarding with the condition of the current block. Pin block installation needs much skill. Therefore, when it comes to the installation, seek experienced rebuilder because the fit must be exact and the holes must be drilled evenly. In order to make the loose pins tighten, the use of chemicals can be good but it is not advisable especially for those expensive pianos for it can just make the tune worse. Why to Let Piano Restring Happen? No piano restringing or rebuilding would be complete without a new set of strings or any new inner workings. Basically, the piano strings are steel wire and they only have a limited lifespan. Time to time, the strings tend to experience significant changes. Since most of the piano strings are elastic, their elasticity can be weakening gradually most especially after frequent harsh use. The elasticity of the piano wire is just like a stretching rubber band. However, after an extended time period, the elasticity will never be the same as it was once before. Oxidation is the other change a piano wire can experience. The effects of oxidation can obviously create a disastrous effect on the environment and so the music equipment. Oxidation is commonly known as rust but they come in various forms. 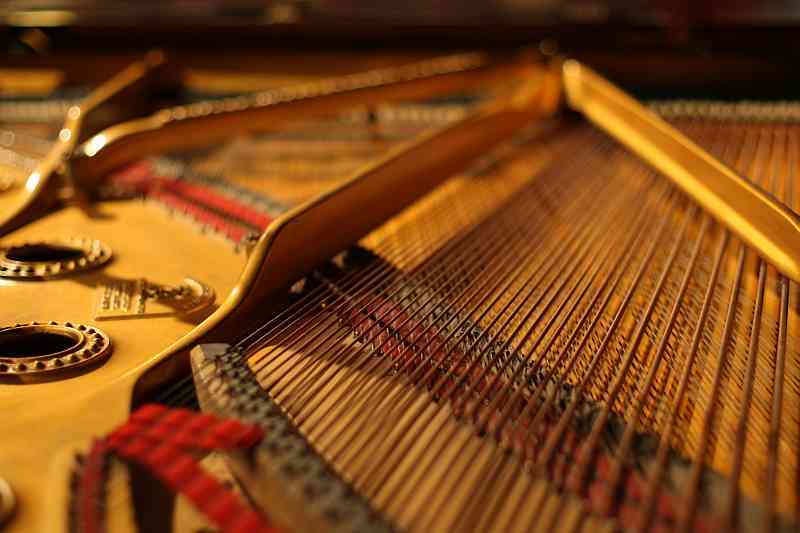 Both elasticity and oxidation can change the pleasant look and tone of your piano. If you will not pay attention to it, you will surely lose it. Restringing a piano in not a nonsense job. It is a part of rebuilding to great music tunes and basically not for maintenance. Are you worried because of how much it cost? Remember, all pianos are different and so restringing rates vary. If you want to restring a piano by yourself, a book “How To Restring A Grand Piano ” can help you.